Pittville Pump Room is an elegant Grade 1 listed building set in the lovely Pittville Park, Cheltenham. This unique and iconic building is great for a large weddings accommodating up to 400 guests in the main hall for the ceremony and 220 for a wedding breakfast. There are also opportunities for smaller weddings with rooms upstairs off the gallery. 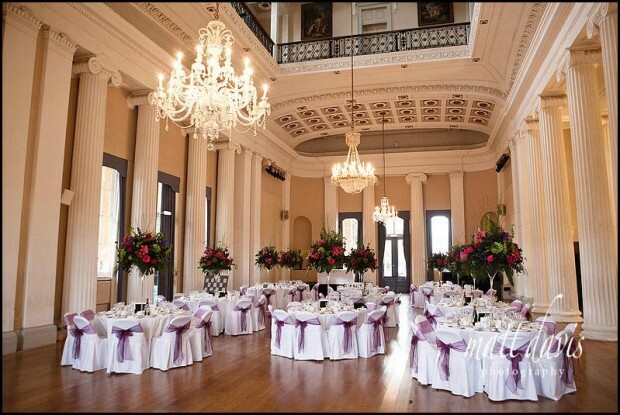 With the stunning architecture of impressive columns and domed ceiling and the open lawns and lakes, Pittville Pump Rooms is an impressive Cheltenham wedding venue. Other wedding venues close by: The Greenway, Manor-By-The-Lake, Ellenborough Park, The Daffodil, The Queens Hotel. Pittville Pump Room is literally the wedding venue on my doorstep. If you’re after a local wedding photographer who’s going to know your wedding venue inside and out, then look no further. This venue isn’t well advertised and despite being a council owned building it’s certainly a statement venue sat in the wonderful grounds of Pittville Park. As it’s not a private Manor House, or Country Park Estate, you get real value for money here. This does come at a slight cost, but not one that will spoil your wedding day (IMO). Members of the public can use the surrouding grounds, but as a rule tend to be considerate of weddings that are happening and watch from a distance. As far as wedding photography is concerned there are plenty of options around the park, or utilising the building and it’s wonderful pillars. Inside is a big space, so if you’re having an Indian or Asian wedding then maybe you’ll fill it up. For those of you looking at smaller numbers (say 50-80) this can be a concern, although it does mean there’s no need to move tables about to create room for the dance floor! I’m pleased to be recommended by Pittville Pump Room who use many of my photos in their wedding literature. 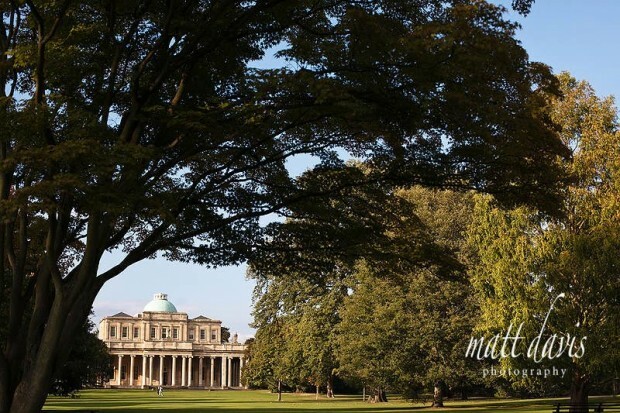 You can also see some weddings I have photographed at Pittville Pump Room on my blog. 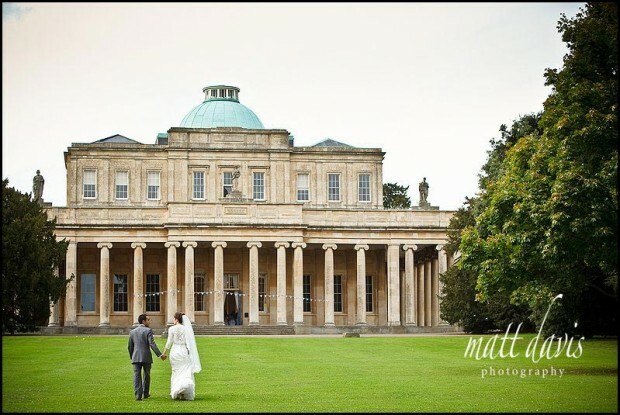 I’ve photographed several weddings at Pittville Pump Room, so have good experience of this venue. If you are considering getting married here please contact me to discuss your wedding photography requirements.